I've just returned from a 4 day observation at Djarragun College near Cairns during their first week of Term 2. Their programme is directed by NIFDI (National Institute For Direct Instruction), an American group set up by Zig Engelmann. The initiative to implement this in Australia originated with indigenous leader Noel Pearson, as outlined in his essay Radical Hope. In the following I describe some of the characteristics of the NIFDI programme. The lessons are heavily scripted. The various teachers manuals are thick books with precise instructions about how lessons must be delivered. So all the teachers are pulling consistently in the same direction. Robotic yes, but they are good robots. This aspect of the program has major, major implications. Scripting lessons takes away from teacher creativity or autonomy. All teachers are delivering in quite similar ways. Does the lack of diversity in this respect matter? For instance, in education a methods war between the relative virtues of constructivism (which emphasises the value of children exploring) and behavourism (which emphasises formal transmission of knowledge from teacher to student) has been going on in various guises for years. NIFDI is as behaviourist as you can get so there is bound to be substantial opposition from constructivists or from those who advocate some sort of even balance between the two apparent extremes. The curriculum, from what I observed, is very purposeful. Engelmann claims to have developed curriculum design to the level of a precise science. There is a strong emphasis on logical elements in the comprehension part of the curriculum such as deductions, inference etc. (and of course much more). For example, in one lesson about the skeletal and muscular body systems these elements of curriculum design were included in rapid succession: Deductions, Evidence, Classification, Definitions, Parts of Speech, Inference, Definitions and Following Directions. (d) Lessons proceeded briskly, some tasks were strictly timed and the message that time was precious was both explicit and implicit. (e) A system of student points and teacher points was present in all classes. Students obtained points for doing the right thing, teachers obtained points when students did the wrong thing (eg. not waiting for the signal before answering). The class receives a reward when a specified target of points is achieved. (f) Virtually no misuse of mobile phones. Students who misuse phones may lose them for a week or even the whole term. (g) Self checks and peer assessment in various contexts. For example, I gathered that reading was assessed every day in paired groups with one of the pair recording words read in, say, 2 minutes and the errors. This was then followed by a reversal of roles. I asked one of the students who recorded 2 errors for her partner what they were and she could tell me. All class groups are based on current ability level and not year or age level. So you might see year 8, 9 and 10 students in the same class. Decoding and comprehension occurs before recess; Writing and Maths after recess. The class groups are resorted at recess since abilities in these subjects will vary. The goal is always mastery learning (85%-90%) for each and every student. The data collection process is both arduous on the teacher and awesome in its scope. A copious amounts of data is collected each week by each teacher. Marking for each day must be completed by the next day. Students are reassessed each day for items they have not achieved mastery learning in the day before. If there are 3 strikes on an assessment item then the student is dropped to a lower ability group. Much of the work from the previous day is repeated in slightly different form next day. There might be only 10 or 20% of new material taught each day. Hence continual repetition is built into the program. The biggest problem is poor attendance. Hence the need for Noel Pearson's other community based initiatives to get students to attend regularly. See How do miserable people progress in the world? The data is faxed to a Direct Instruction expert in Canada once a week and this is followed by a conference call to discuss progress. So, there is an external expert continually advising and also checking that no one is drifting off from full implementation of the package. In other schools teachers deviate all over the place, this is the first school I have seen where that is strictly not allowed. I observed some minor deviations but no serious deviations. There is a huge potential for spottiness and teachers not implementing the NIFDI approach properly. From what I saw in various classes there were subtle differences of implementation creeping in. But they were subtle, not serious deviations. Of course these would deviate further if there wasn't a rigorous way to prevent it. This explains why NIFDI have put in place such rigorous checkups through their data collection process. Part of me still doesn't like that side of it (the restriction on teachers ability innovate in their own, sometimes creative ways) but certainly I can see the necessity for it. Hence other methods can and do work in isolation (good teachers in isolated classrooms) but the NIFDI approach seems to be the only one to provide all the elements necessary for scaling whereas other methods out of respect for teachers independence do not scale. And scale is everything since we have a large percentage of indigenous Australians who can't read, write or do basic maths. Other methods have failed. I'll also mention that I'm a big fan of Seymour Papert's constructionist approach to teaching with computers and have employed that approach successfully in both middle class and disadvantaged schools in Adelaide (1, 2). But when working in a disadvantaged school in Adelaide's northern suburbs I realised I had to incorporate much more behaviourist type approaches in my teaching due to the low starting point of many of the students there. See my 1998 article The place of behaviourism in schools which advocated a mixture of methodologies and I still think provides a valid critique of some aspects of behaviourism. (See footnotes 1, 2 and 3 in particular. These issues still need further research IMO) - edit 27th April. Noel Pearson has also significantly influenced my thinking after I heard him speak in Adelaide about 10 years ago. Subsequently I have read most of his writings. When I read "Radical Hope" I thought interesting but education isn't really his primary area of expertise so he's being one sided here and going overboard in his support for Engelmann. I then read some Engelmann and thought interesting but he's too angry and criticising all forms of constructivism and I know that some forms of it are good, since I have been a successful practitioner. But then I couldn't get away from Engelmann's proven success in Project Follow Through and so gradually came to the view that I should look more closely at his DI approach and what still seemed to me to be exaggerated claims. I've now come to the belief that for disadvantaged students in particular who haven't grasped the fundamentals of language and maths that Direct Instruction is the best method developed that I am aware of. The Vietnam war protest movement taught me that rebellion was good and government bad, that freedom was good and control was bad. In applying this principle to education, the methodology of behaviourism seemed to symbolise the main thing that was wrong with School and Education. That it was BORING. Behaviourism and / or rote learning was a sophisticated form of child abuse, a denial of freedom. The Vietnam war had a racist element to it. Moreover racism at home directed at indigenous Australians took the form of either genocide or assimilation. Assimilation was equivalent to cultural death, a denial of indigenous culture. Seymour Papert taught me that computers could be used in hands on personal ways that empowered naive users in deep ways, that personal learning was good and rote was bad (1). But the experience working in a disadvantaged school taught me that behaviourist learning had its place in education too (2). 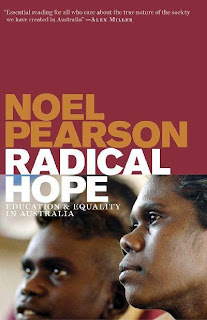 Noel Pearson taught me that the most difficult problem of social inequality, that of indigenous Australians, could be analysed and progress made (3). 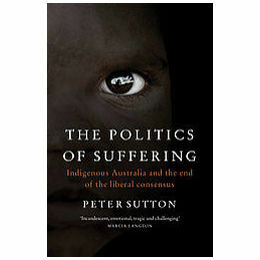 Peter Sutton taught me that the indigenous question still remained an incredibly difficult problem (4). Hence, I have gone full cycle, returning to my starting point and seeing the same issues with new eyes. That freedom can be dangerously misguided and control can be good. The Tsolakoglou government has annihilated all traces for my survival, which was based on a very dignified pension that I alone paid for 35 years with no help from the state. And since my advanced age does not allow me a way of dynamically reacting (although if a fellow Greek were to grab a Kalashnikov, I would be right behind him), I see no other solution than this dignified end to my life, so I don’t find myself fishing through garbage cans for my sustenance.